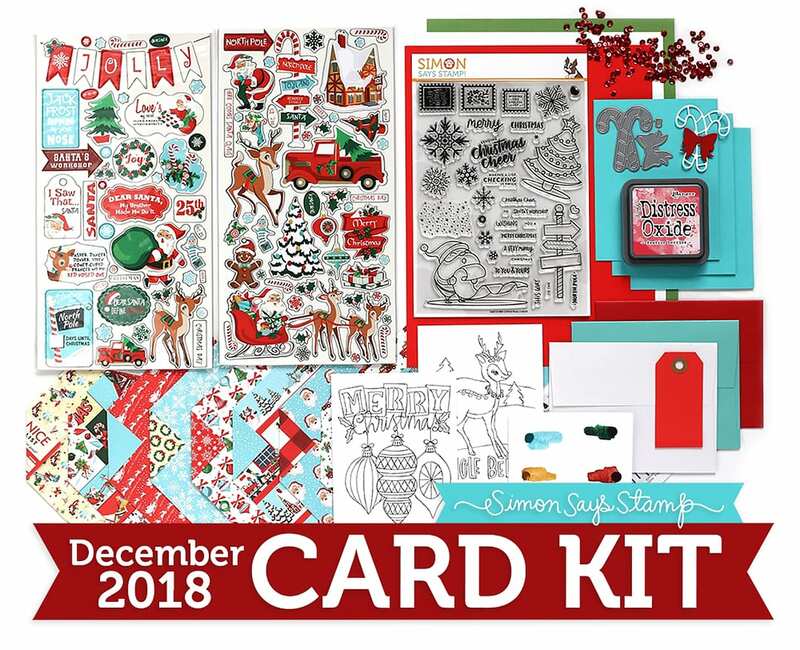 The 14th of the month heralds the new December card kit from Simon Says Stamp and this months kit is full of the Holiday spirit! 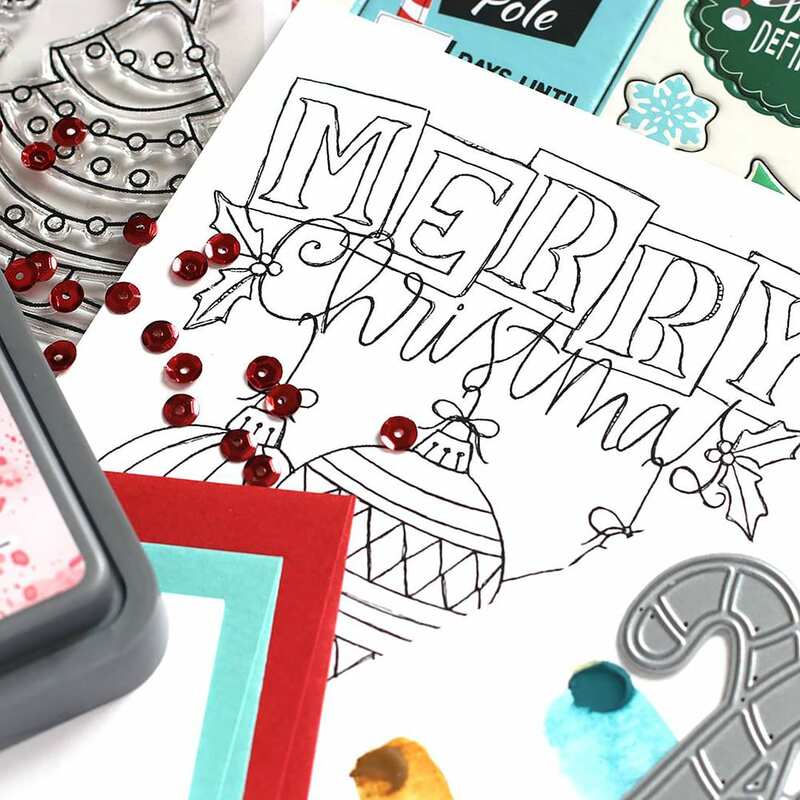 I can’t wait to colour that sweet Santa from the Christmas Cheer set, and the kit is filled, as per usual, with so many options for creating a bunch of cards. Compensated affiliate links used. 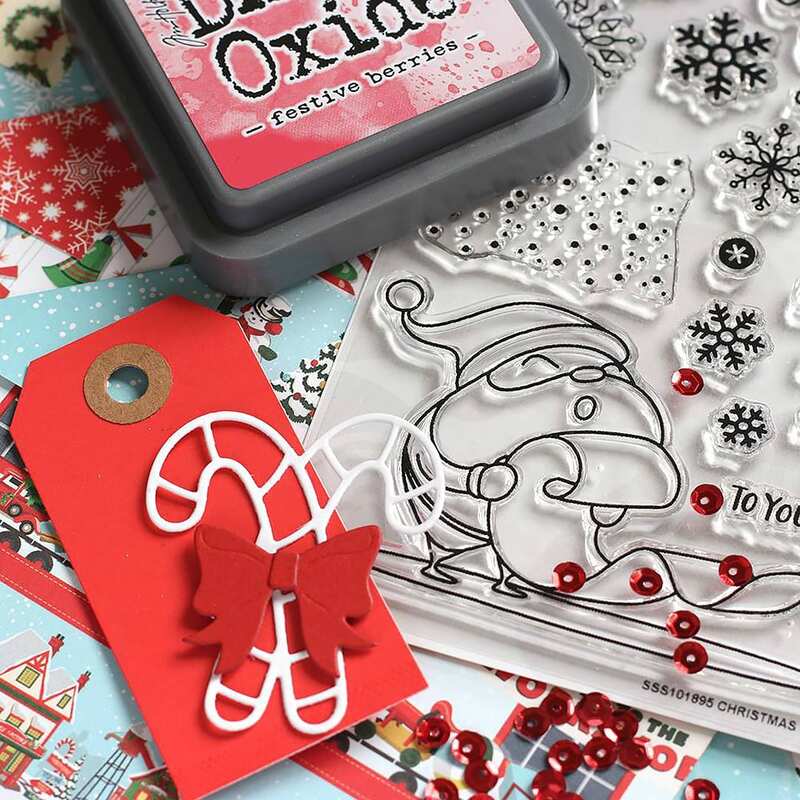 Here is have a quick look at what is included in the kit this month and don’t forget that many of the items are available individually. 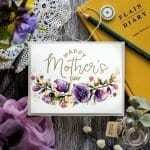 Many of the card kits sell out fast, so if you would like to guarantee a kit each month, then you can sign up for a subscription at the reduced cost of $29.99 per month (plus P&P). Love the kit, wish I could get it but money is tight this time of year.